What inspires you as an author? And what, in particular, inspired Dwellers of Darkness? Finding inspiration, or your muse, to help you write can come from the most random, unconventional places. It doesn’t matter if it is non-traditional or traditional as long as it leads you to writing. Every day my muse can be different. It can be simply a song I am listening to or the second iced coffee in an hour I consumed. Inspiration for me never comes from one source but from several: reading, music, walks in the forest, a picture, art . . . my love for caffeine. All of them have contributed to my novel, Dwellers of Darkness. Although it is the third book in the series and the themes were already there, I still needed inspiration to have the story come alive. I have always loved reading fantasy. I was the kid who wrote my own Goonies-style adventure books. Several years ago, I became obsessed with reading every type of fantasy out there, going through a ridiculous amount of books a week. Between the books that left me lacking to the books that had me crying because their next novel wouldn’t be out for another year, my own story started to take hold. Writing was always something I did on the side, but I never really thought about it as a career. That’s now changed. It took me awhile to get here. 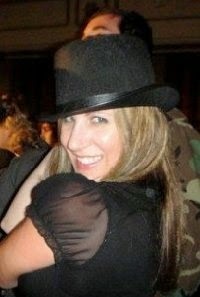 When I was in my early twenties, I went to Los Angeles, seeking that stereotypical want-to- be-actress (aka waitress) role. I didn’t fit in LA as an actress since I spent more time fascinated by the production sets than any of the stars on them. I loved the world they created. Being on set never ruined the magic for me; it only made me more captivated. You could disappear into this world and become part of it. To all the Buffy/Angel fans out there, I spent an extraordinary time on those sets because of that. Even though the sets didn’t ruin the magic for me, Los Angles certainly did. I lost all inspiration to act or be a part of it. Leaving the land of “broken dreams,” I traveled the world. Writing started to return to me while on a train looking out at the luscious rolling hills of England and the sun-ripened hills of Greece and Italy. Writing can’t help but find its way back to you when you live and travel in other parts of the world. I felt awed in New Zealand and overcome on the beaches of the Phi-Phi Islands in Thailand. Inspiration was everywhere. I came back to the states determined to change my life. While I went to design school, I started reading and writing, trying to capture all those feeling I felt when I traveled. Was it a way to escape the real world? Undoubtedly. And I am sure therapists would line up to have me on their couches. But, I am happy in my fantasy world. The fact others feel the same way when reading my novels only enhances that excitement for me. After finishing three years of design school with monstrous loans to prove it, I was an Interior Designer/Home Stager by trade . . . or so I thought. 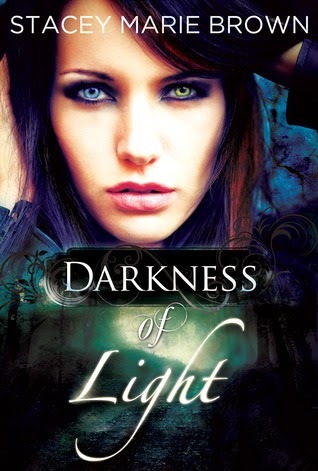 I found myself resenting work because it got in the way of my writing—the time I could concentrate on developing the characters and plot of the first book in the series, Darkness of Light. 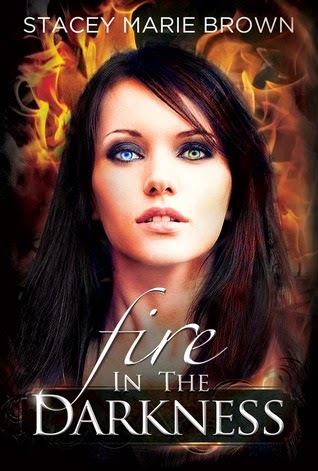 Characters, scenes, and distinct voices started to come to me and wouldn’t let me sleep. Usually this is a sure sign you’re crazy, but that was something I already knew. This was different. I had to write. The voices wanted out and would not take no for an answer. While my world developed into a book, I realized that my days as an actress and set/interior designer had been leading me here—to my true passion. Creating worlds was always something I did whether by writing, acting or designing. It is funny when something has been there the whole time, but it takes you a while to acknowledge it. I even used to write stories for my friends about our escapades and bind them, giving them as Christmas gifts. The Darkness Series was inspired from all of this. It had been there growing, waiting till I finally came to my senses and acknowledged it. The people I’ve met and the experiences I’ve had in my life are all somewhere in my books. And let’s admit . . . the fact I can write from home in my fuzzy pjs only makes it that much better. --First two books in the Darkness series (signed) with tote bag (US only) - Picture Attached! 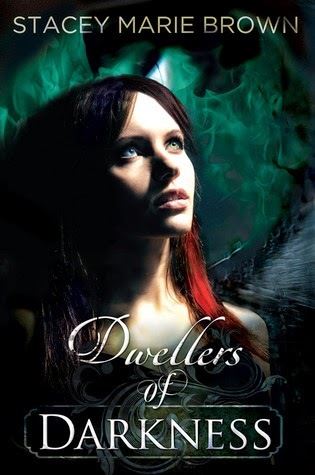 --Signed copy of Dwellers of Darkness + pouch (US only) - Picture Attached!